OwnersAway - Where to go? You´ll find a huge variety of things to do during your stay here on the Costa Calida. Here are some of our suggestions for great day trips, with something to keep all of the members of the family entertained! 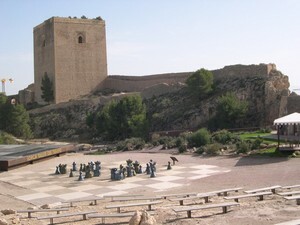 The “Fortress of the Sun” as the castle is known, can be reached off the E15 / A7 motorway at the Lorca junction. Head into the town and follow signs either for the “castillo” to go directly there, or the Visitors Centre “Centro de Visitantes”. During holiday season, a small train winds it´s way up to the castle from here after making a short tour of the city, and the kids will love the journey to the top of the hill. Once at the castle, you can take a guided tour or choose to wander around freely. Most information is in Spanish, but you can hire an audio guide in English which will explain the history and the highlights. Look out for the falconry displays, kids playfort, and the giant chess pieces! There is an onsite bar and café, plus a gift shop and a visit to the castle, combined with a shopping trip in Lorca, makes an ideal day out. Our “Little Sea” is actually a huge saltwater lagoon, and is famous throughout Spain for it´s wildlife and attractions. In the area, you can visit La Manga and San Javier and take a tour of the local windmills! The youngest members of the family will be happiest here at the beach, as the gently sloping sands and shallow, warmer waters make the Mar Menor a safe and child friendly place for bathing. There are many cafés, bars and restaurants serving a host of tapas and other traditional Spanish delights. The only problem you will have will be “what do I choose?”. In addition, there is a very good Sunday Car Boot sale every week at Cañadas de Romero, near to Camposol and El Paretón. Here you can find anything under the Spanish sun, including all the UK branded foods you might need if you are feeling a little homesick! The Sierra Espuña run from the Lorca area to Alhama de Murcia, taking in several lovely towns and villages along the way. There are hiking trails, cycleways and viewpoints and you can either take a picnic, or use one of the special stone BBQ´s in the many rest areas, subject to fire restrictions. The stunning natural beauty makes it an unmissable day out for nature lovers. Highlights include the snow wells near Alhama, and the unforgettable “La Santa” hotel, bar and restaurant close to the medieval village of Aledo. Pretty towns such as Alhama and Totana are also worth a visit for a quiet stroll and tapas in the park. The wonderful Spanish weather makes outdoor life fun, and as a result, there are so many sports to try here on the Costa Calida. 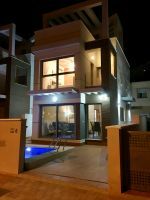 Horse riding, golf, scuba diving, swimming, cycling and more can be found in the area. If you have any specific interests, please let un know, and we will try and provide information for you. For the more adventurous, there are quad bike tours, paintballing and paragliding clubs, not to mention a trip in a light aircraft to fully appreciate the scenery. Well, they´ll love the beach of course! But there is more to Spain than sun and beaches. Try one of the many bowling complexes, or a trip to a soft play zone on one of our infrequent rainy days. And don´t forget the castles! The zoo at Terra Natura is a short drive away, as is the water park on the same complex, just outside Murcia. 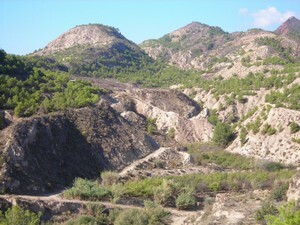 And the Oaysis Wild West Park in Almeria is around an hour´s drive. Cartagena also makes an ideal base for a day trip with kids, as they can hope on the open top buses for a tour of the city, or take a sail on the tourist boat around the shoreline. And Mum and Dad will appreciate the lovely marina, the promenade and the pedestrianised shopping area! There are now several major retail parks in the area. The largest, Nueva Condomina, is signed off the E15 / A7 motorway, heading from the coast towards Murcia. Here there are all the usual Spanish major retailers, plus H&M, Primark, Zara and more. Lorca now also has a new retail park. Follow the road from the city centre towards Aguilas, and you´ll see the retail park on the right. 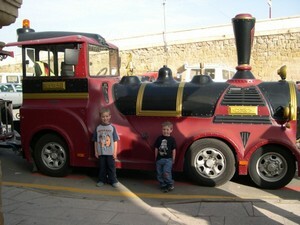 Cartagena has a large retail park on the outskirts of the city, including a Toys ´R Us. Parents, be warned! If you´d like any more information on where to go and what to do in the area, please don´t hesitate to get in touch. Our knowledge local could be just the thing you need to keep your family happy on holiday!